French Photo Du Jour: Surprise, Surprise? I think there was no question about what would be on the cover of French newspapers today! 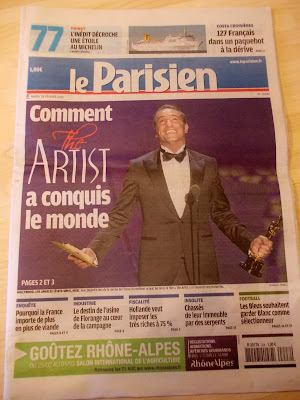 The headline reads, "The Artist conquers the world." 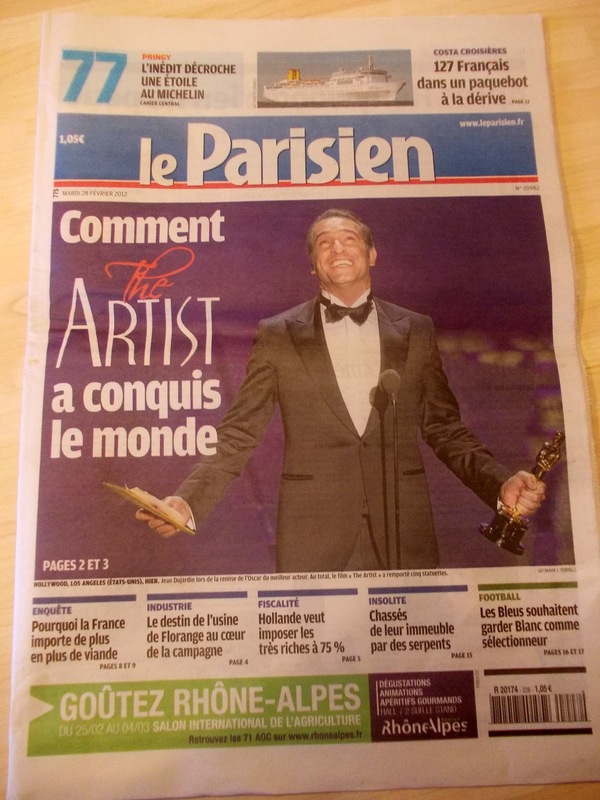 The Oscars were too late at night on Sunday for Monday's editions, so here we have 39-year-old Jean Dujardin, a well-known French actor. He's beaming after winning Best Actor for his portrayal of George Valentin, an older silent film star working with an up-and-coming female star. Dujardin is the first French actor to earn the Academy Award for Best Actor; he won the same award at the Golden Globe Awards earlier this year and at the Cannes Film Festival in 2011. His next film, Les Infidèles, is set for release tomorrow across France.